Do you want to retire to a barrier island along the west coast of Florida? AMI has beautiful beaches, a lush, semi‐tropical climate, and has retained much of its Old Florida character and lifestyle. Most of the homes were originally ground‐ level beach cottages. Many have been expanded and updated, and homes are typically well‐maintained and landscaped. Construction of two high‐rise buildings in the 1970s prompted ordinances that limited future height and housing density. The focus is on families (residents and visitors) and on outside activities – the beach, walking, bicycling, fishing, arts and crafts fairs and local parades. Beach weddings are promoted, while spring break is not. At the home we rented, the steady breezes were a constant reminder of the closeness of the water to the house. All of the houses on this island that have been built since 1975 are raised – in other words, no permanent living area on the ground floor, everything on second or even third story. This was for insurance and building code reasons. We could walk or bike to the restaurants and shops on Pine (We arrived in time for the “Wine on Pine” event) and the bay and Anna Maria pier were a mere three block jaunt. Boating from our back dock meant easy fishing and evening sunset rides. I spent some time reading under a canopy or mangroves on our back dock, cooled by the shade on the breeze off the water. We visited during a “shoulder season” (early May), the expression given to the times just before and after high tourist Food and Wine on Pineseason. The weather was perfect. Restaurants good and not crowded, and I even got in a little real estate while I was there. The City of Anna Maria is an interesting combination of old and new, sort of a Sanibel and Fort Myers Beach mix; classier than Fort Myers Beach and not as touristy, but more dense than Sanibel. 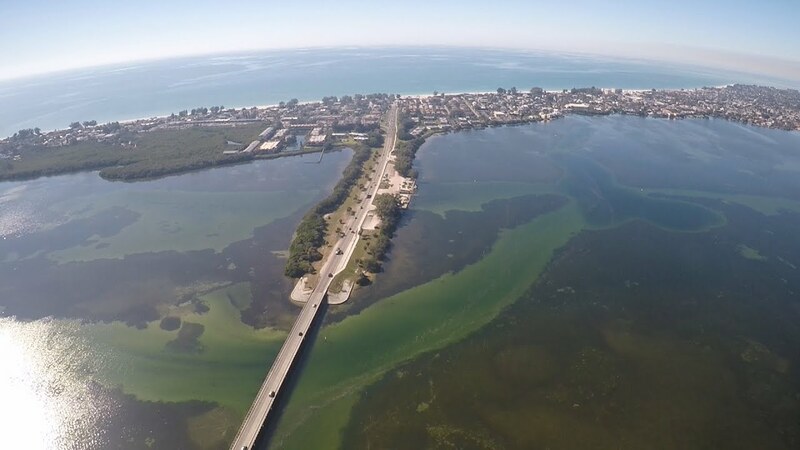 The water was crystal clear or aqua, something we don’t see on Fort Myers or Sanibel because of the Caloosahatchee River and Lake Okeechobee drainage. New three story homes start in the $1 million plus range. The island is very bikable, and I chose to bike twice a day while I was there. On Fort Myers Beach this would not be possible due to the high traffic and on Sanibel there are few neighborhoods that you can leisurely bicycle through, most bike rides are on a bike path down a long road. Like many resort towns that are coming of age, the City of Anna Maria, there is a political storm brewing over the rental policies for single family houses. Some real estate people I spoke to told me that less than 25 % of the homes are full time residents. Anna Maria Island cities were not prepared for the magnitude and resulting consequences of the above changes. It took significant time to become aware of the consequences and to develop and approve appropriate ordinances such as 1) Living Area Ratio ordinance so that houses were appropriately sized for the lots, 2) larger setbacks for pools, 3) parking requirements based on the number of bed / sleeping rooms, 4) excessive noise, and 5) backdoor trash pickup. Some work remains to eliminate gaps and loopholes, and to ensure public safety with regard to fire and smoke. Full and consistent enforcement increased demand on city services and related costs. Enforcement is now a major priority. The city governmental response has been severely constrained by State‐imposed limits on “home rule” (House Bill 883 as modified by Senate Bill 356 in 2014). Regulation of public lodging establishments is preempted to the state, and a local ordinance may not prohibit vacation rentals or regulate the duration or frequency of rental unless the ordinance was adopted on or before June 1, 2011. Bradenton Beach lacked such an ordinance. The impact on Anna Maria is under review. Holmes Beach and other cities in Florida must adhere to grandfathered regulations. Note that inspections for compliance with the Florida Building Code and Fire Prevention Code are allowed. Would I want to retire here? No. While I loved my visit here, the fact that 75% of my neighbors might be temporary would be annoying. Add to this the high cost of housing, it would get my no vote. Own a second home here? Absolutely. If you would like to discuss buying of building a second home here and putting it in a rental program. Should I invest in a Second Home? Maybe You should Re-discover yourself, Not Retire!